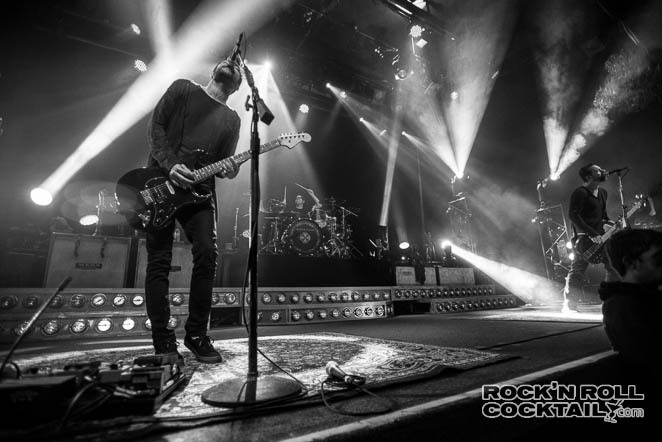 Chevelle is in the midst of their 2014 US tour and I was fortunate enough to catch the band’s recent sold out show here in San Francisco at the legendary Fillmore. Touring in support of their seventh studio album and latest project, La Gárgola, the Chicago-based trio of Pete and Sam Loeffler along with brother-in-law, Dean Bernardini have quite a show in store for the fans, here are five reasons you need to see this one for yourself. 1. Their live show is spectacular. There are few bands that have survived genre shifts, the sophomore jinx, and not to mention adapting to the digital age, but these guys have. I attribute it to a case of being consistent with their music and releases along with truly incorporating their fans into what they do using social networks. The energy that these three guys can produce live is a wall of sound that even Phil Spector would appreciate. 2. They are a true original. 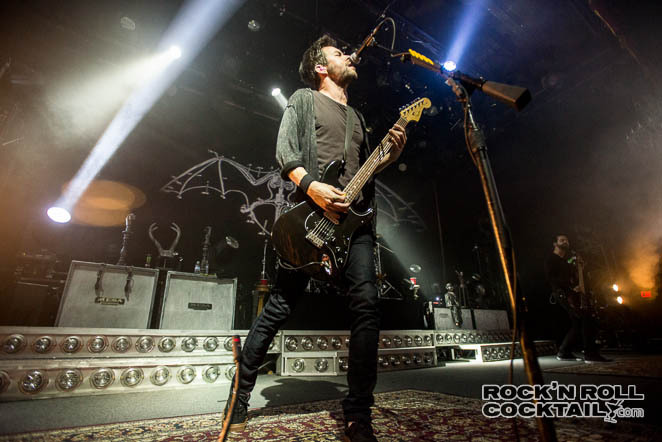 While many bands in this phase of their career (20 plus years) start to delve in self-producing and losing their way through trying to be something they are not, Chevelle stays true to their sound and know exactly what their audience wants. And they deliver, big time. 3. Their new album is amazing. While their latest album La Gargola is yet another solid offering from the band. “Ouija Board” and “Take Out the Gunman” are two of the best tracks I think the band has ever written. Joe Barresi, who produced the band’s last studio album, Hats Off to the Bull, returned as the producer for this album and it debuted at No. 3 on the Billboard 200 album chart, selling 44,900 copies in the first week becoming the band’s highest charting album. Impressive indeed. 4. Their setlist is brilliant. Touring with 7 incredible records in their pocket to choose from when putting together a setlist, they put together a perfect mix of old, new, fan favorites and a rarity or two. The show I saw at The Fillmore here in San Francisco where these pictures were taken was sold out to the max, and fans were hanging on every single note. 5. They give back. Chevelle recently launched a campaign to support Tech for Africa’s continued efforts in providing affordable education and tools to challenged and disabled children in remote locations. 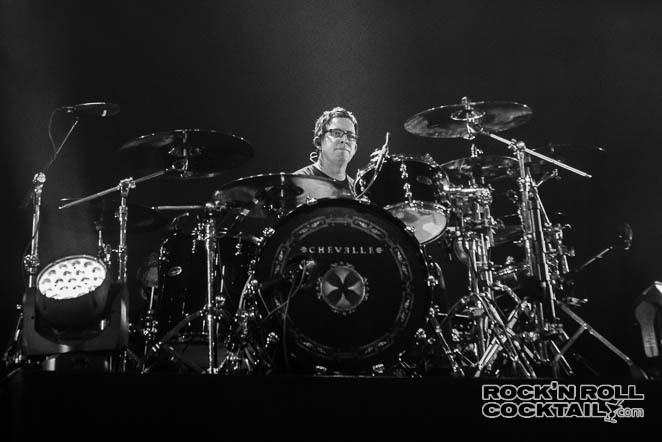 A statement from the band’s website: “We, Chevelle, believe that everyone has the right to appropriate education, no matter who or where. To further help the Tech for Africa team in their mission, Chevelle has reprinted and is selling a South Africa Shirt that Chevelle designed to commemorate their first trip to this beautiful country. All profits from the sale of every Limited Edition South Africa Tee will go directly to the Tech for Africa cause. Tech for Africa cannot achieve their goals without you, and with Chevelle urge you join this great cause by making a donation. “ Shirts can be purchased and donations can be made here. Bottom line, don’t miss this one folks. The tour continues in the US through October. 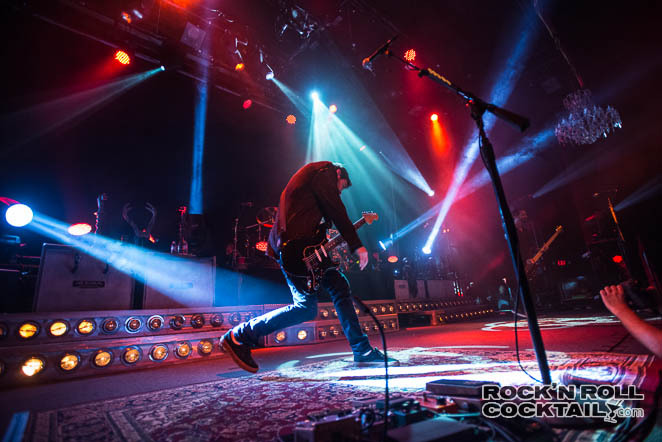 You can check out more photos from the show in the gallery. 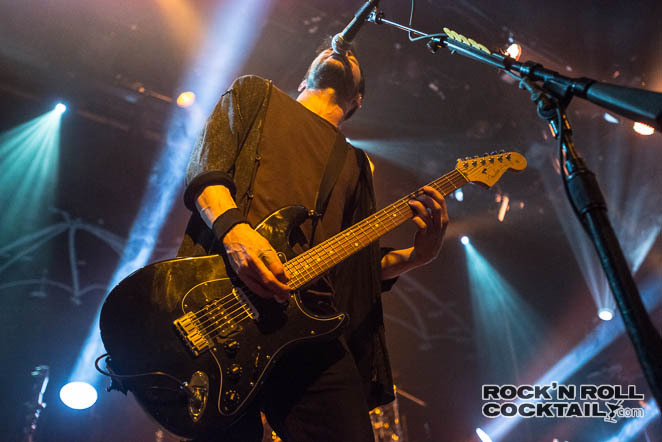 Have you seen Chevelle live this year? Join the conversation in the comment section below. Yes, I saw them 2 weeks ago here at the Marquee Theatre which is a venue I felt was too small for them. It was PACKED which I’m not typically a fan of but once they got started I didn’t care a bit. 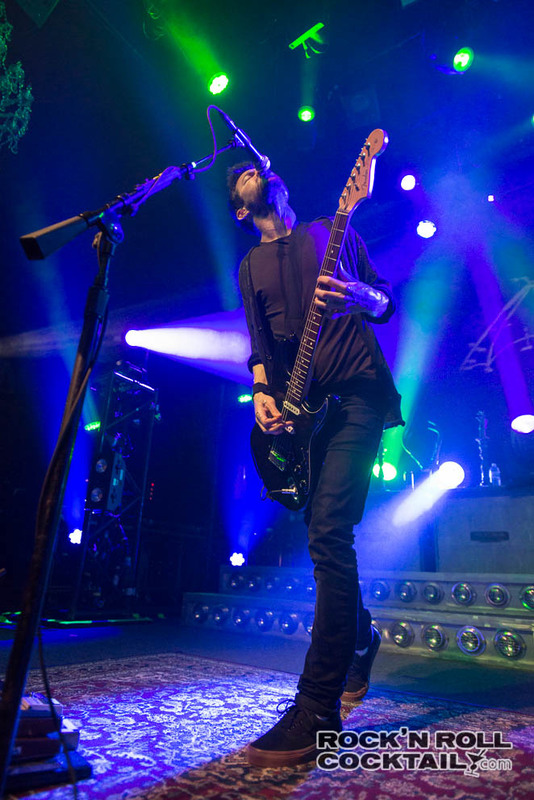 Chevelle is one of my top 3 all time favorite bands & this show definitely did not disappoint. The day after the show I was already looking at future dates to determine if I could go watch them all over again.